OVER 100 PEOPLE KILLED IN PLANE CRASH! A brand new Indonesian Lion Air plane carrying 189 passengers and crew crashed into the sea on Monday. Officials say it crashed moments after it had asked to be allowed to return to Jakarta. 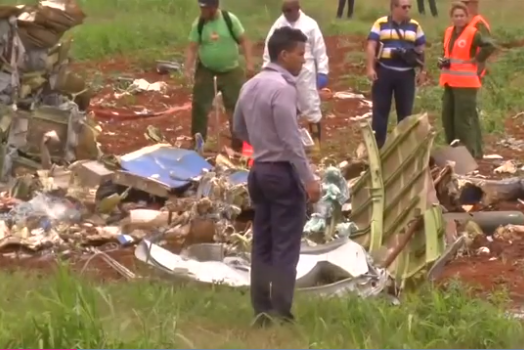 Investigators are combing through the wreckage of a Boeing 737 that crashed in Havana soon after take-off, killing more than 100 people. Disaster agency spokesperson Sutopo Purwo Nugroho tweeted pictures of debris, including what appeared to be an emergency slide and various parts of a smashed mobile phone. Authorities were still searching for the remains of the plane, which lost contact with air traffic control around 06:30 (23:30 GMT), en route to Pangkal Pinang city, a jumping off point for beach-and-sun seeking tourists on nearby Belitung island. "The plane crashed into water about 30 to 40 metres deep," said Search and Rescue Agency spokesperson Yusuf Lati. The pilot and co-pilot had more than 11 000 hours of flying time between them, it added. "Lion Air is very concerned about this incident and will work with relevant agencies and all parties," said spokesperson Danang Mandala Prihantoro.